BANGOR, Maine — Students from Maine enrolled in one of the University of Maine System schools would have their sophomore year paid for by the state if Democratic gubernatorial candidate Rep. Mike Michaud’s economic development plan comes to fruition. The plan is the congressman’s first major policy initiative released in conjunction with his gubernatorial campaign. It was released Wednesday at a campaign event in Portland. The plan estimates that “Sophomore Year Free” would cost the state $15.1 million. Liam Nee, a senior studying journalism and political science at UMaine, said the change would help alleviate a student debt problem he and his peers know they will face when they graduate. “We’re maxed out on loans,” he said. Though he knows some people who have left school for financial reasons, he said most of his friends are not only staying at UMaine, they are loading on the coursework, double- and often triple-majoring in order to make themselves more marketable when they graduate. They are putting off the reality of student debt, he said. The price of a 15-credit semester at UMaine this year is $5,300 for residents. In the 2012-13 school year, the estimated cost to residents for a year of school, including room and board, was $22,912. Higher education professionals said targeting the second year is a good idea because that’s often when scholarship money and family savings that might have been available during a student’s first year have run out. Page said the university system had not modeled what this plan would cost. He added that Michaud’s education plan is one of six or eight coming out of Augusta and that each have good and bad components. He will not be endorsing any particular plan or candidate. “The fact that they’re good and bad can’t be an excuse to do nothing,” he said. Lisa Plimpton, research director of the Mitchell Institute, a group the offers scholarships to Maine college students and researches retention rates, echoed Page’s sentiment. “I do think that alleviating the cost of college would make a difference in our college completion rates, and targeting the extra aid on the sophomore year is a good idea,” she said in an email. Others questioned how Michaud’s proposed initiative would be funded. Wendy Ault, executive director of the MELMAC foundation was simply pleased that the issue of financing college has been getting attention from politicians. “It is a problem that we are not graduating enough of our kids that we accept into the system, so good for him for bringing it into the forefront,” she said. MELMAC awards scholarships to schools and students with the intention of increasing college attainment in Maine. The portion of Maine residents with an associate degree or higher is 36.4 percent, according to the U.S. Census Bureau. That rate is about the same as the national rate but lower than any other state in New England. 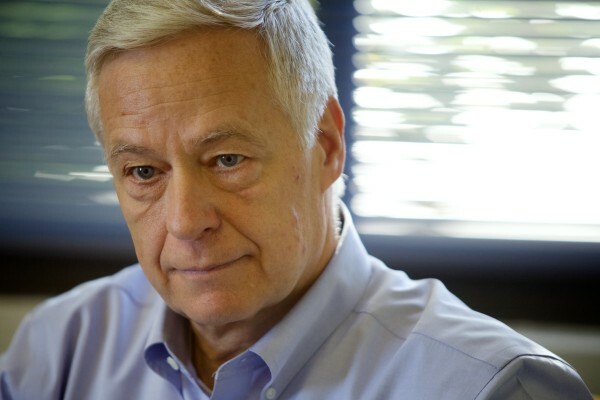 Michaud’s plan also offers a tuition guarantee, an initiative that would hold tuition steady for Maine residents enrolled in a Maine public college for four years and a Maine community college for two years. Additionally, the plan proposes that the state give community colleges a $1 million grant to increase access to summer classes.